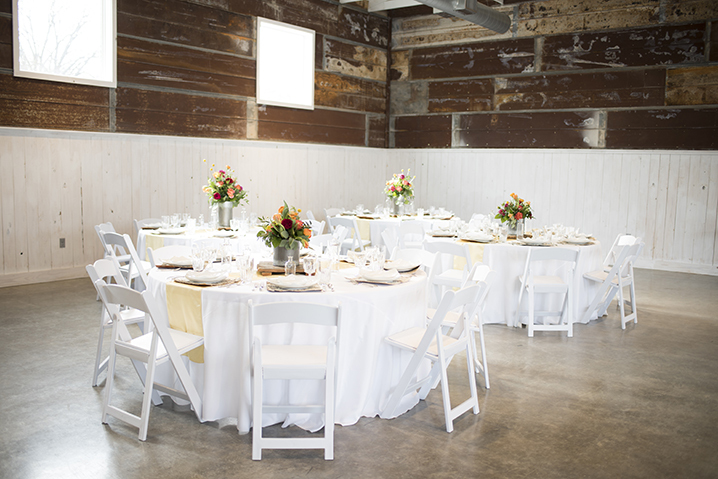 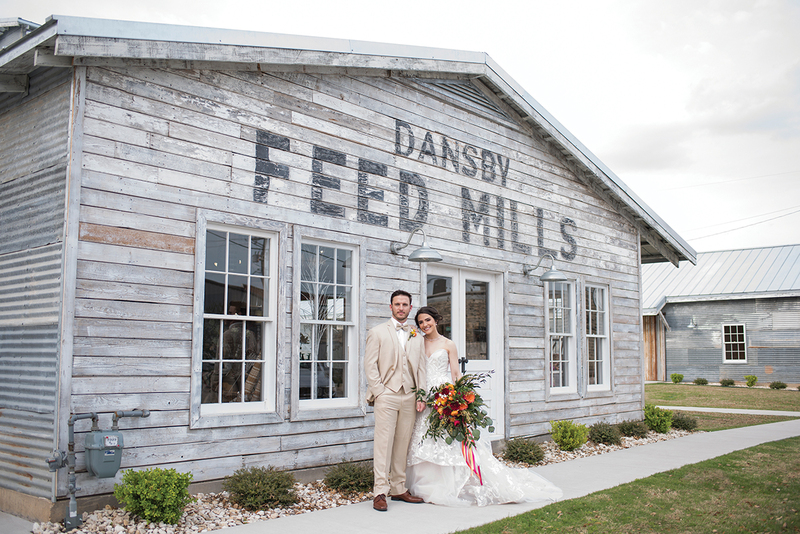 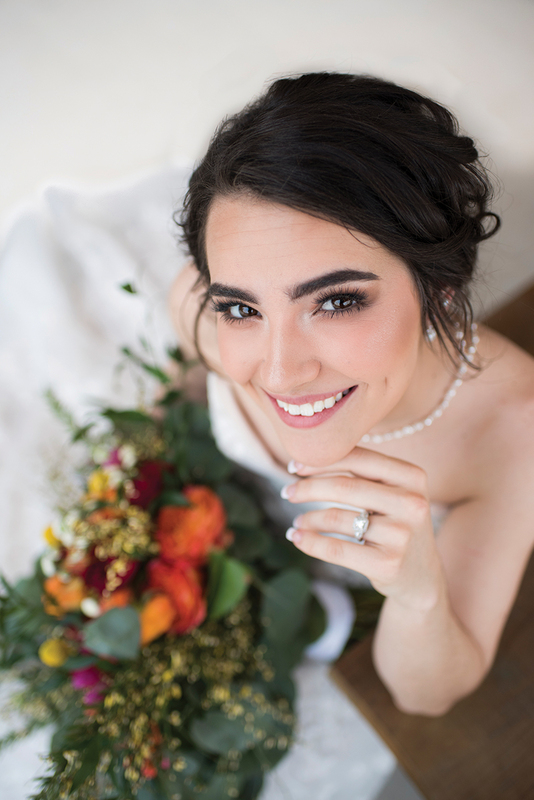 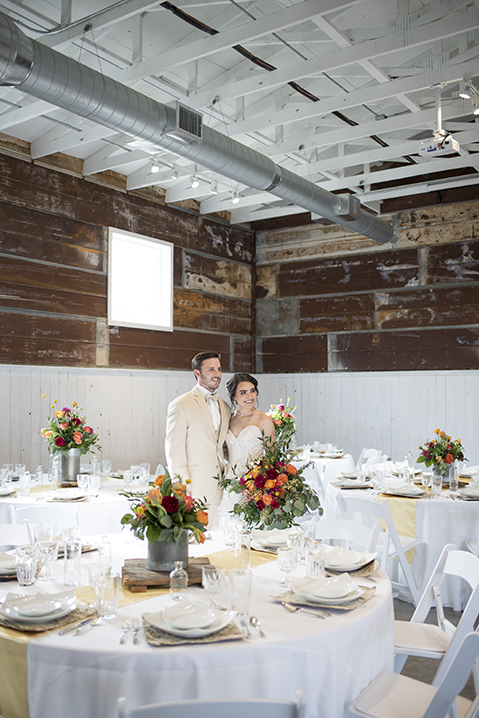 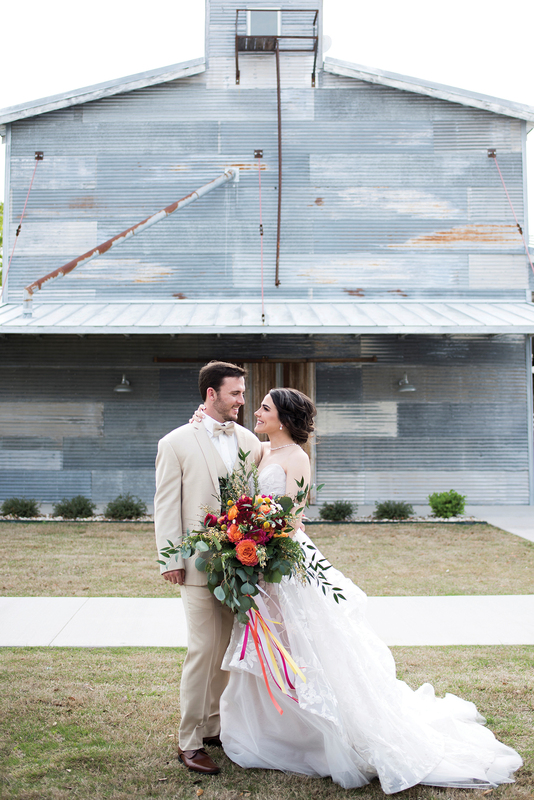 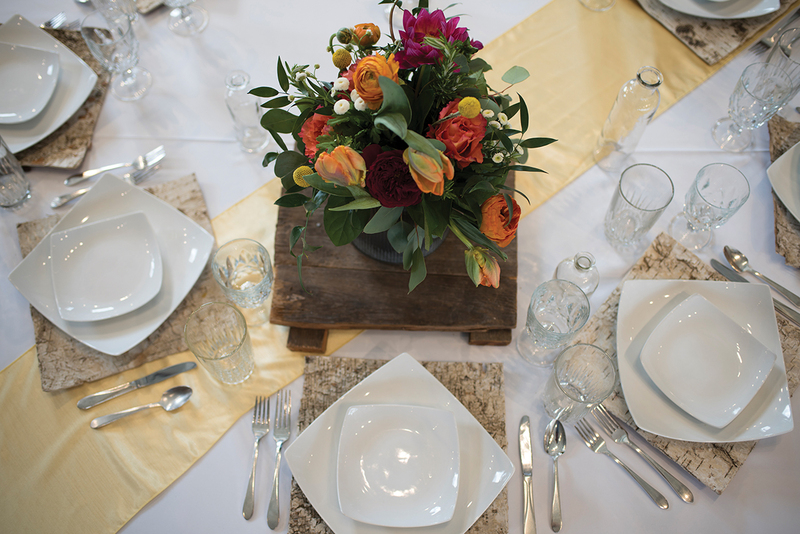 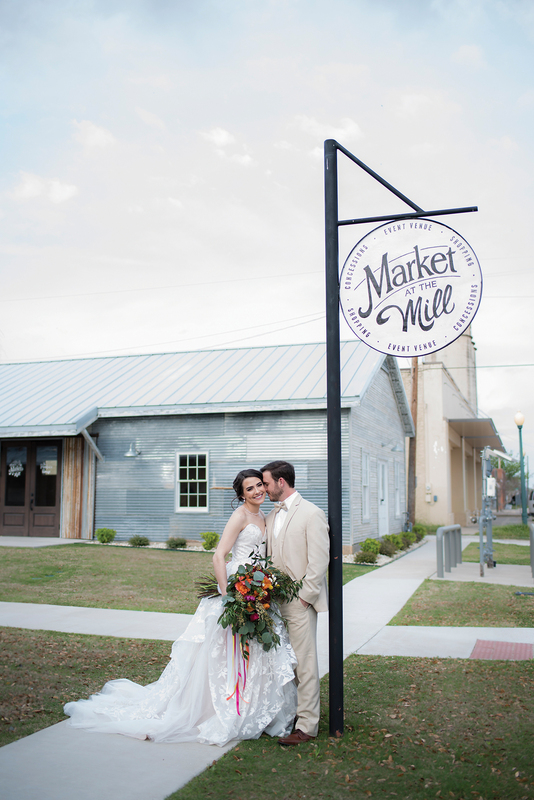 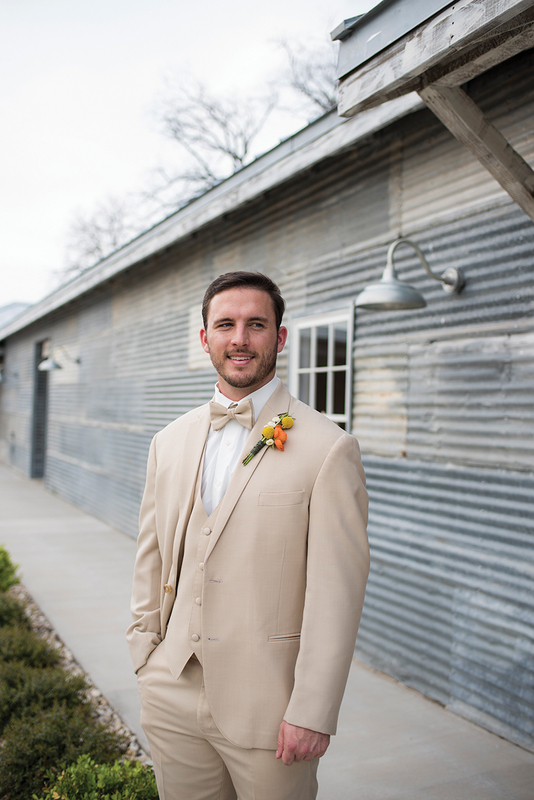 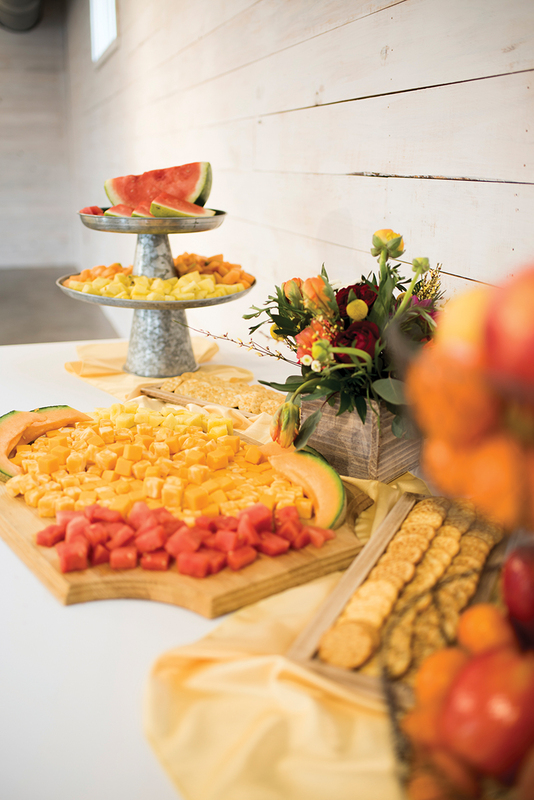 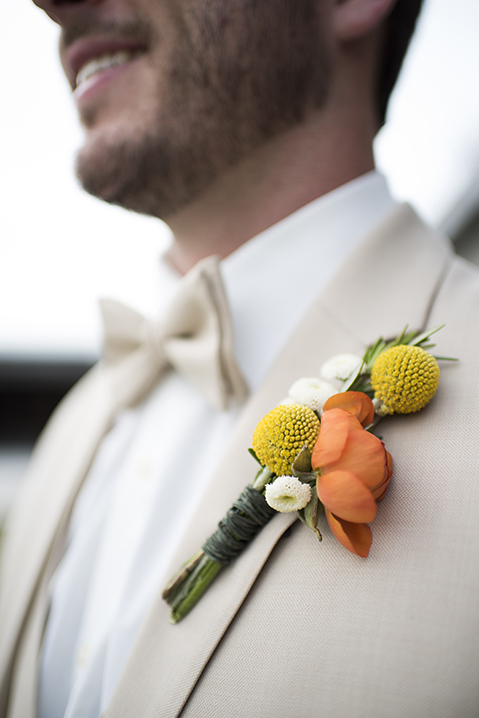 In the heart of the quaint town of Clifton, TX, is a charming tin-covered venue called Market at the Mill. 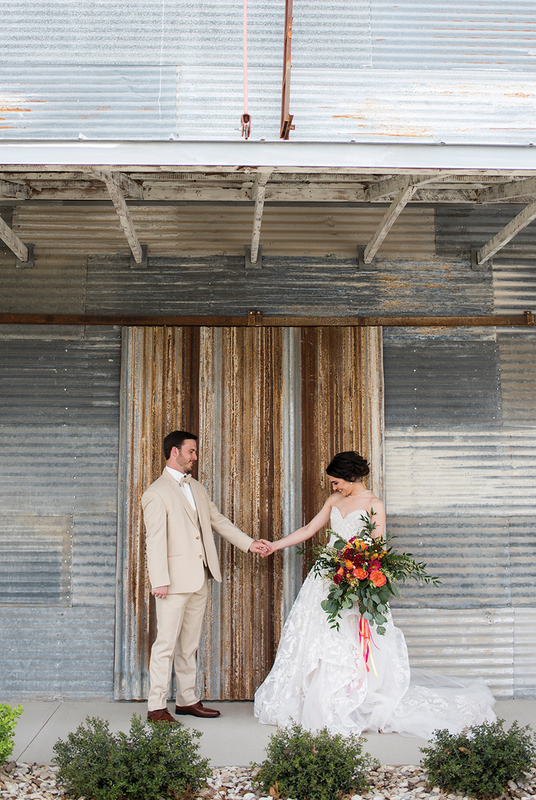 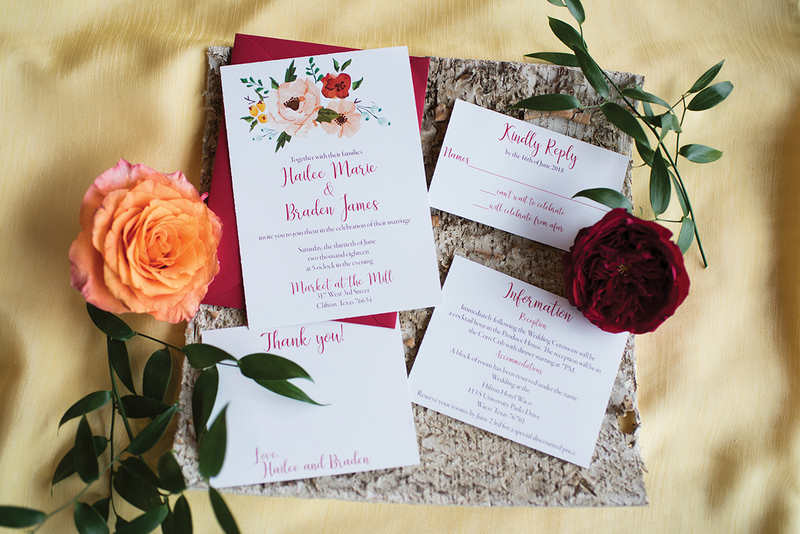 It was the ideal location for our Sweet Summertime styled shoot where multi-colored roses and industrial touches created a vintage vibe with a modern twist. 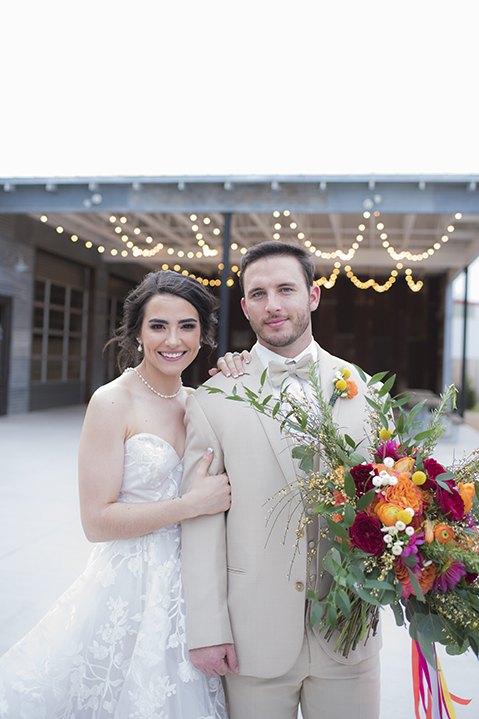 Outside, the bride and groom, dressed in formal wear reminiscent of a bygone era, stood under strings of glowing Edison bulbs that hang under the covered reception area. 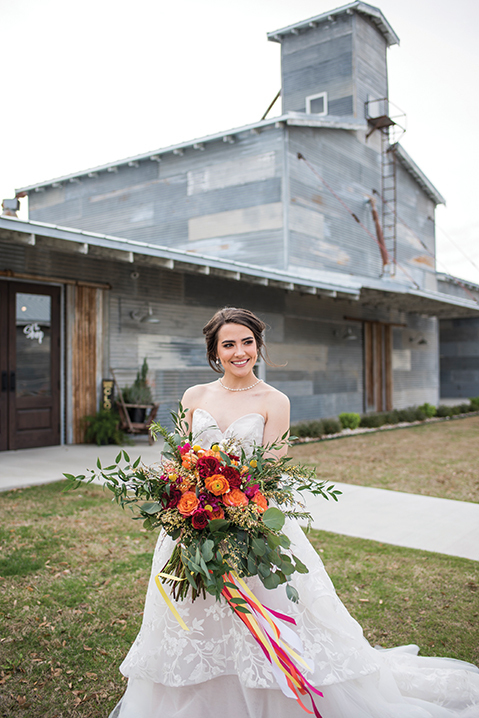 And while there’s much for the eyes to feast upon on outdoors, the true beauty of the shoot lay just past the venue’s French doors. 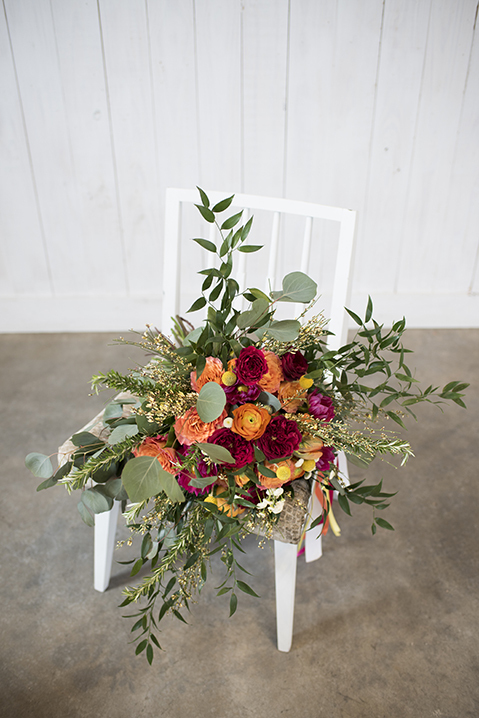 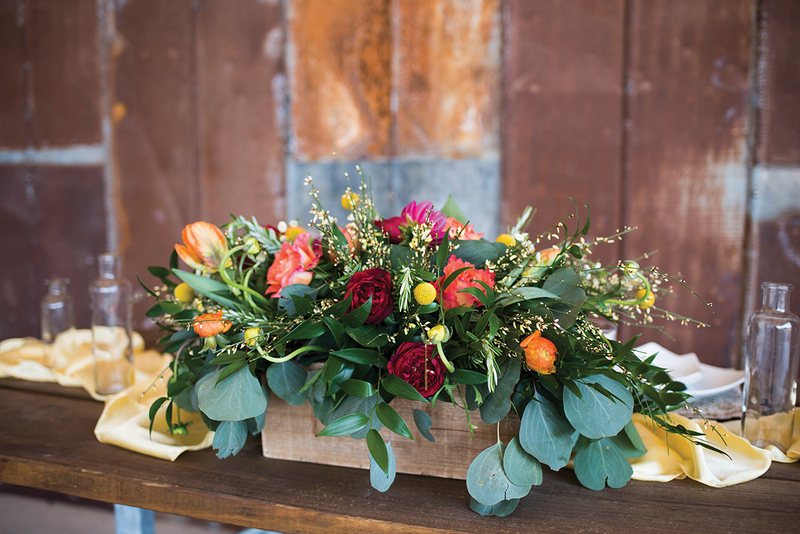 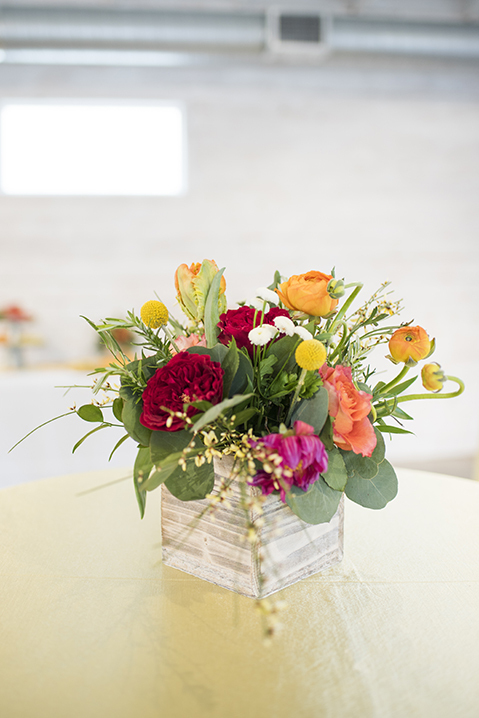 Bouquets complete with David Austin roses, Craspedia seeds and reaching greenery sat full and beautiful inside galvanized metal vases. 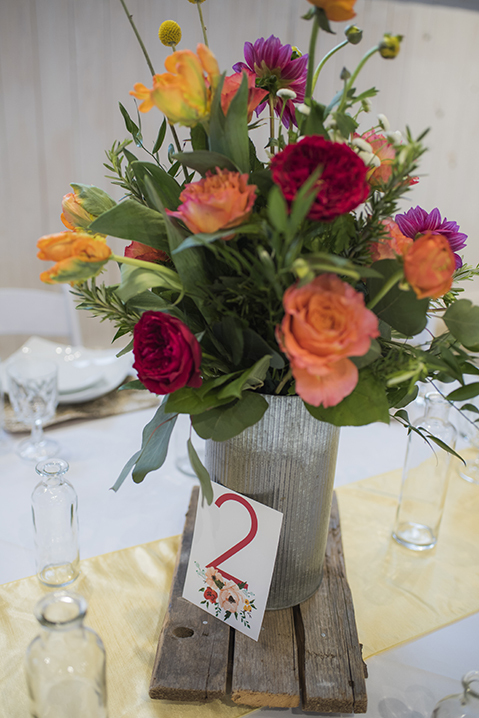 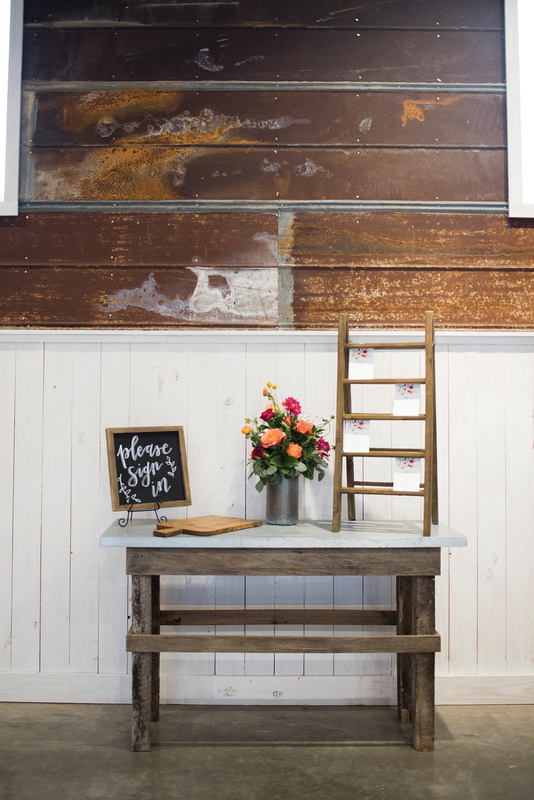 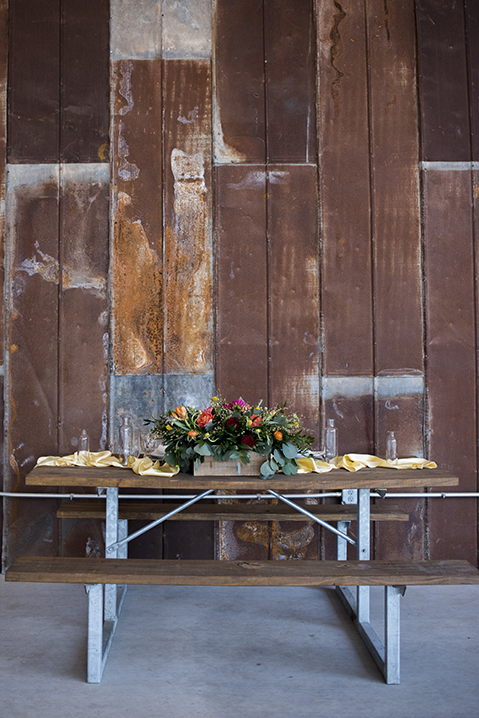 The juxtaposition of the delicate blooms and weathered metal was the perfect combination for the venue that is decorated with the site’s original tin. 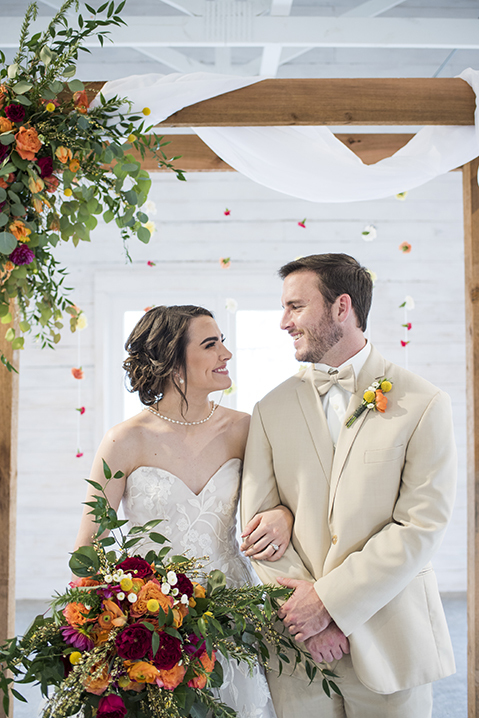 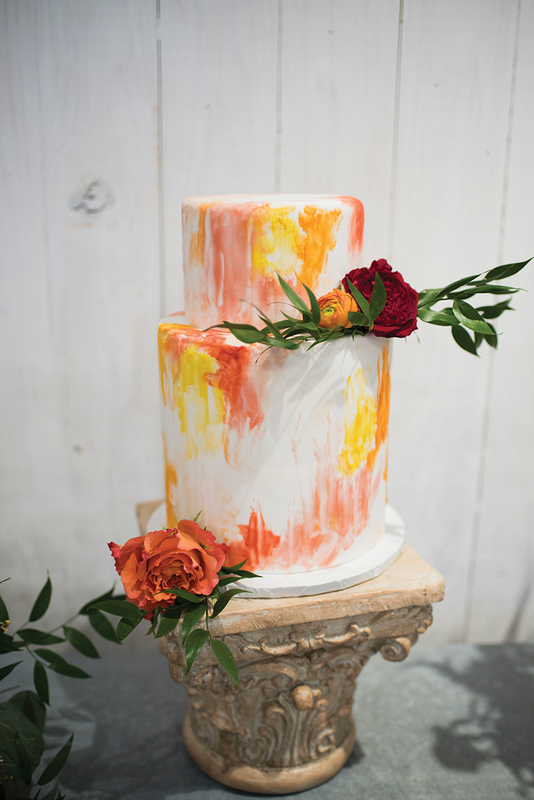 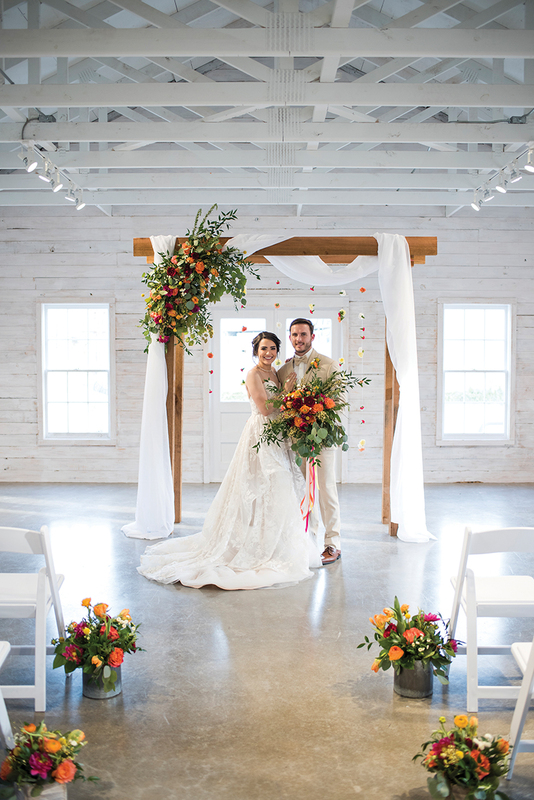 The bright, sunny color palette was evident not only in the floral arrangements, but also in the watercolor-style wedding cake and the flower garland that hung from the ceremony site’s fabric-draped arbor. 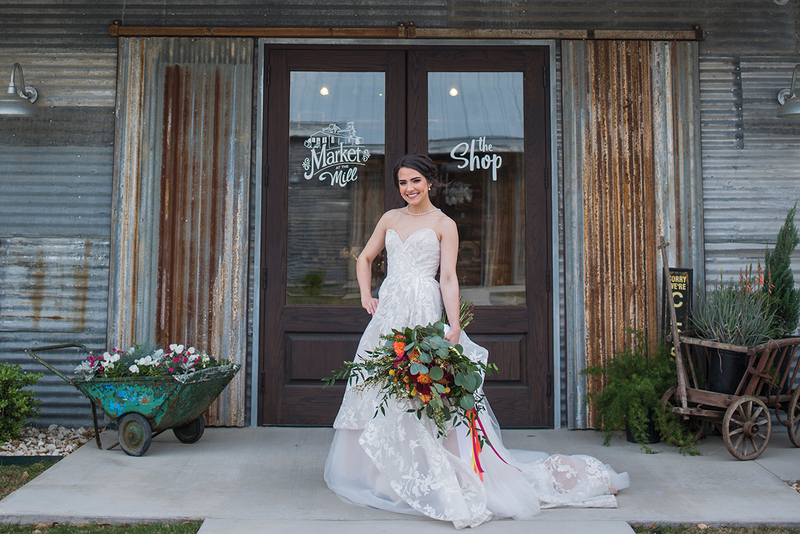 The bride’s light, natural makeup and lace-layered dress added to the carefree summer vibe.